Ag PM Colm Imbert at yesterday’s post-Cabinet briefing at the Diplomatic Centre, St Ann’s. THE Chinese will fund, construct and operate a US$104 million industrial complex at Point Lisas to house ten high-tech plants, acting Prime Minister Colm Imbert told yesterday’s post-Cabinet briefing at the Diplomatic Centre, St Ann’s. The deal was struck by the Prime Minister with the Beijing Engineering Group on his current trip to China and Australia, from which he returns to TT on Monday. Imbert said high-tech industries will be set up in the fields of ICT, biomedical engineering and new materials technology. Jobs will be provided for tens of thousands of people, and he expects the industries to increase TT’s GDP by five per cent. The site will be 53,000 square metres, of which the plant area will be 25,000 square metres. 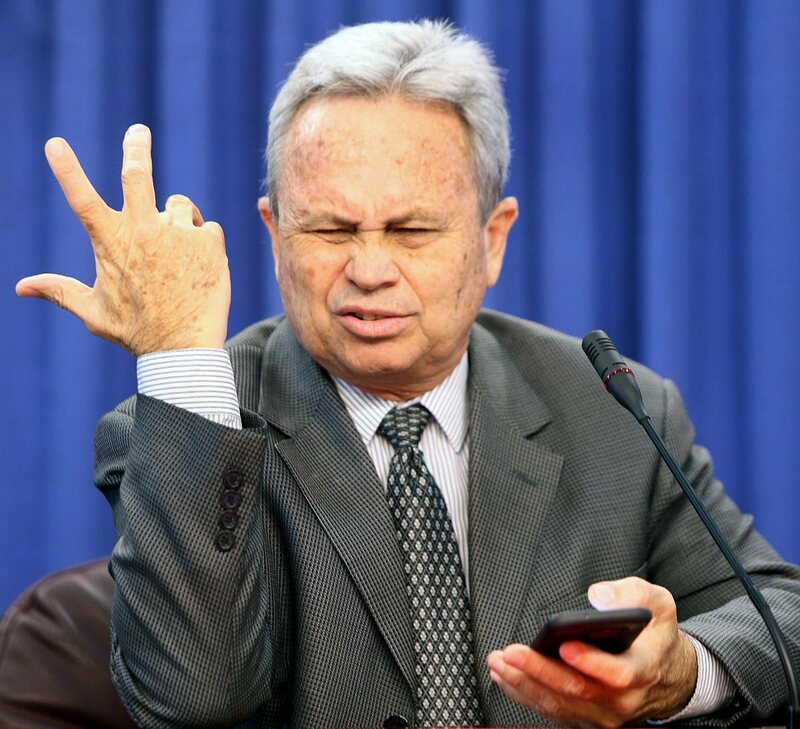 Imbert said construction will start this year, using Chinese labour and a two per cent concessional loan. He said talks are under way with the Chinese for a dry dock at La Brea which he expected to generate hundreds or even thousands of jobs. Chinese nationals will allowed into TT visa-free once they have a United States or Canada visa. Saying Caribbean Airlines is holding talks with two Chinese airlines, Imbert said there are flights from Beijing to Havana, Cuba, even as CAL flies from TT to Cuba, and he hoped TT could tap into the 100 million-strong Chinese who travel internationally every year. He expected Trinidadian asphalt to be used on the new Beijing International Airport. Imbert said Rowley has visited two vessel-makers in Australia, Austal and Incat, and had met the New South Wales Police Service and Department of Justice to talk about issues such as counter-terrorism. Reply to "Imbert: US$104m Chinese complex for Pt Lisas"